The Castle, which was probably erected as a Norman stronghold about 1210. Between 1350 and 1640 it was occupied by the MacEgans, a famous Brehon family who kept a renowned school of law and letters. A key visitor attraction in North Tipperary, Redwood Castle is a striking example of a Gaelic tower house. It was home to the Ó Cinnéide (O’Kennedy) lords of Ormond and later on to the Mac Aodhagáin (MacEgan) sept, Ireland’s most famous family of hereditary brehon lawyers. The Castle, was probably erected as a Norman stronghold about 1210. Between 1350 and 1640 it was occupied by the MacEgans, a famous Brehon family who kept a renowned school of law and letters. It was during this time that the famous “Leabhair Breac” and parts of the Annals of the four Masters were written here. The Castle is situated on a hillock near the Shannon and has been restored by a member of the Egan Clan. 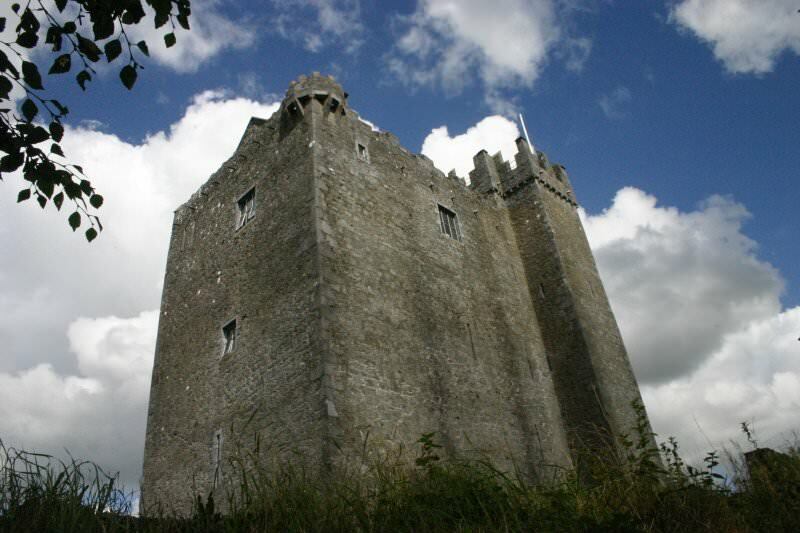 The Castle is situated two miles off the Ballincor Crossroads on the Birr/Portumna road. The castle is the largest surviving tower house in the region and visitors can enjoy being guided around its many interesting chambers, passageways and staircases. Restored by members of the Egan family in the 1970s, the castle stands as a reminder of the sept’s ancient roots and powerful influence. The Castle will open on selected days throughout 2017. JUNE 2017 Monday, 5 June to Sunday, 18 June, inclusive. JULY 2017 Sunday, 16 July to Monday, 31 July, inclusive. AUGUST 2017 Tuesday, 1 Aug to Thursday, 31 Aug, inclusive. SEPTEMBER 2017 Friday, 1 September to Wednesday, 6 September, inclusive. Entrance €5 per person to Medieval 13 century MacEgan Castle off Birr-Portumna Road. To avoided disappointment please telephone for more information on visiting arrangements, etc.